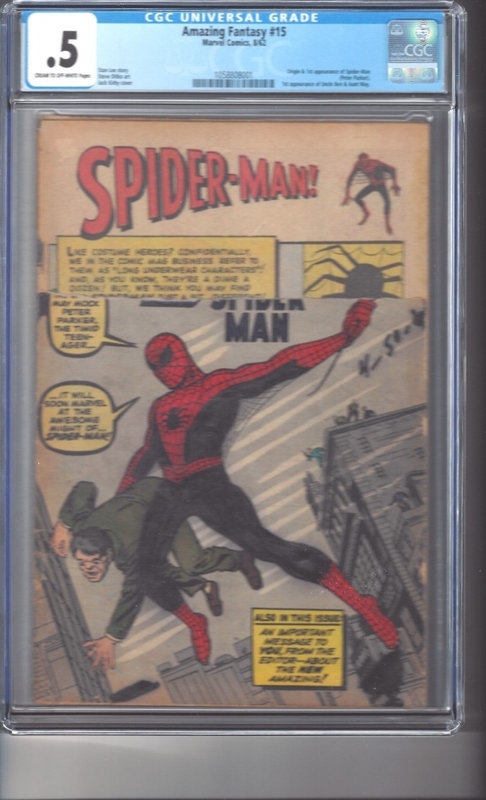 CGC 0.5 copy of Amazing Fantasy #15, the first appearance of Spider-Man. This copy has 3/4 of the front cover and a complete back cover. The rest of the front cover has minor wear but the eyes of Spider-Man and his costume have been colored by pen. Pages are cream to off white.